“Something big is happening in the gold market right now,” declares the author of today’s article, who notes that gold purchases by central banks last year were at their highest level since Richard Nixon formally brought an end to the gold standard in 1971 and that purchases in the fourth quarter were the highest on record. 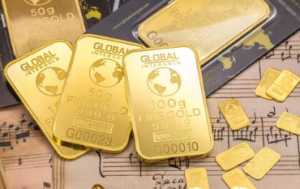 After four straight months of gains for both gold and gold mining stocks, what’s gold’s next move – and what gold set-up does the author recommend? CLICK HERE.